I’m in the process of modelling some of the assets to be used in my new video. One of the assets is an apple and the picture shows the latest version of the apple, complete with skin colour. I modelled this using Blender following a very good tutorial at the cgcookie.com website. I also used some of the textures from cgtextures.com to help with the skin colours and markings. 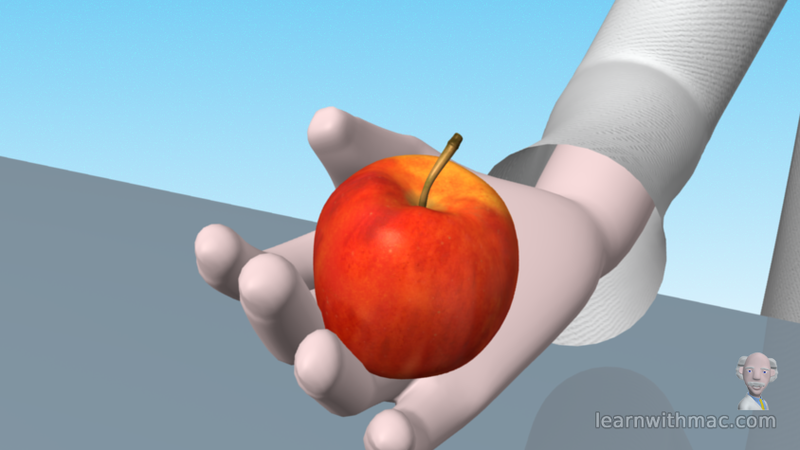 The process starts by modelling the shape of the apple with a mesh. The important element in this step is to make sure the apple is not too perfect. Most apples are not geometrically perfect and for realism it is important to create this. Although you would think this is easy, it is surprisingly difficult to create just the right amount of shape imperfection for it to be believable. The next step is creating the colour of the apple complete with skin markings. This is a painting process using a paint program such as GIMP. The colour is then added to the model using a mapping process from within Blender. The purpose of the apple is to illustrate the size of a one newton force. It just so happens that an average sized apple weighs approximately one newton on Earth. Can you guess the type of apple from the picture? Next story What to do with this wall?